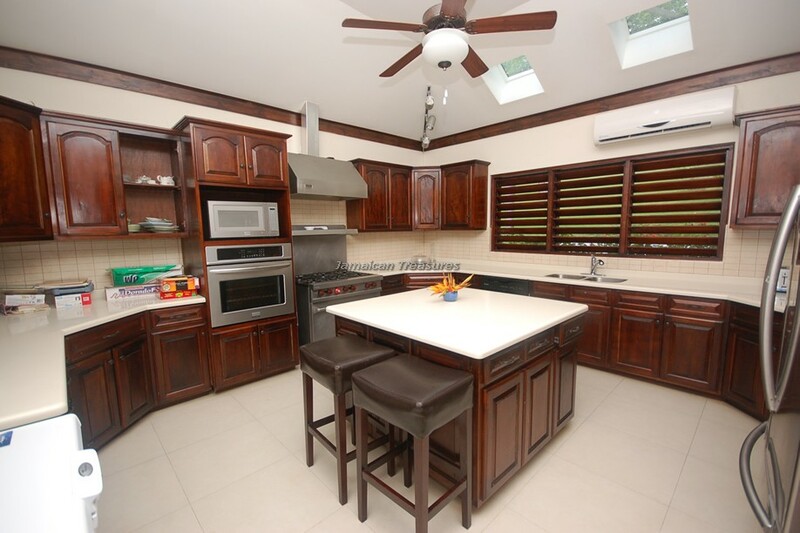 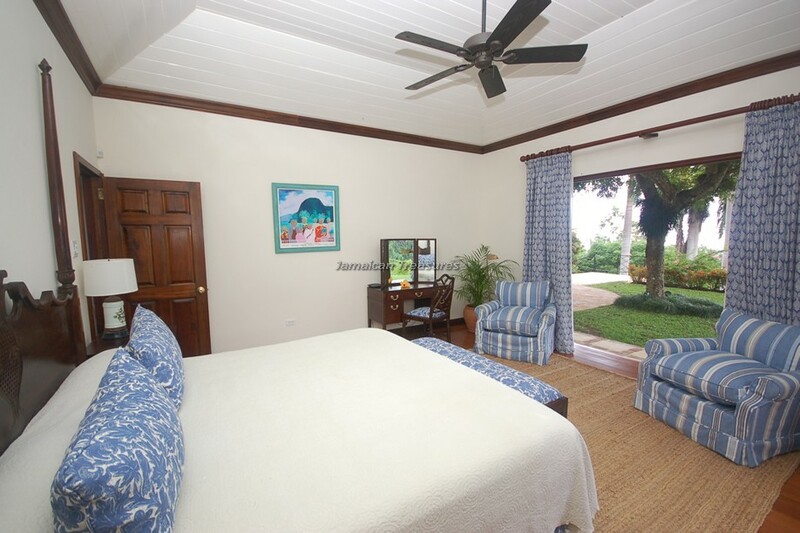 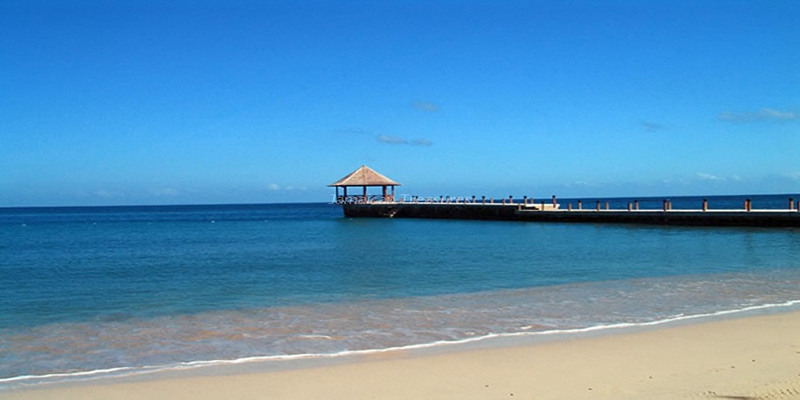 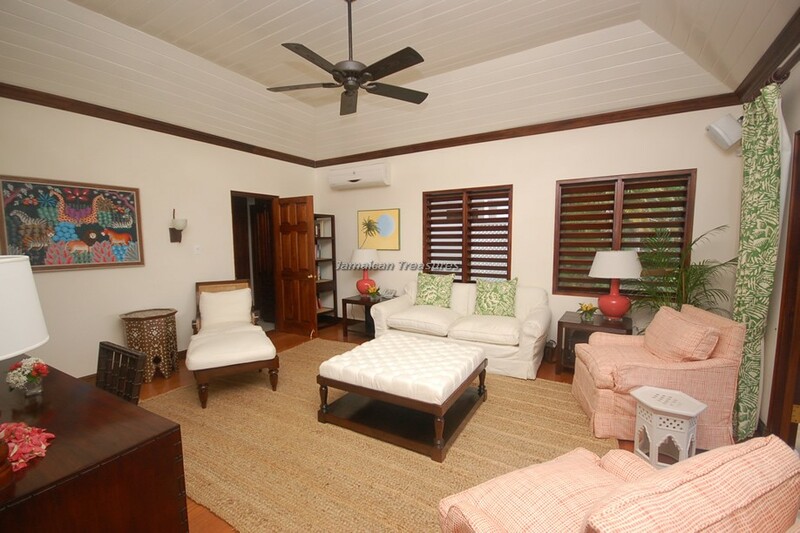 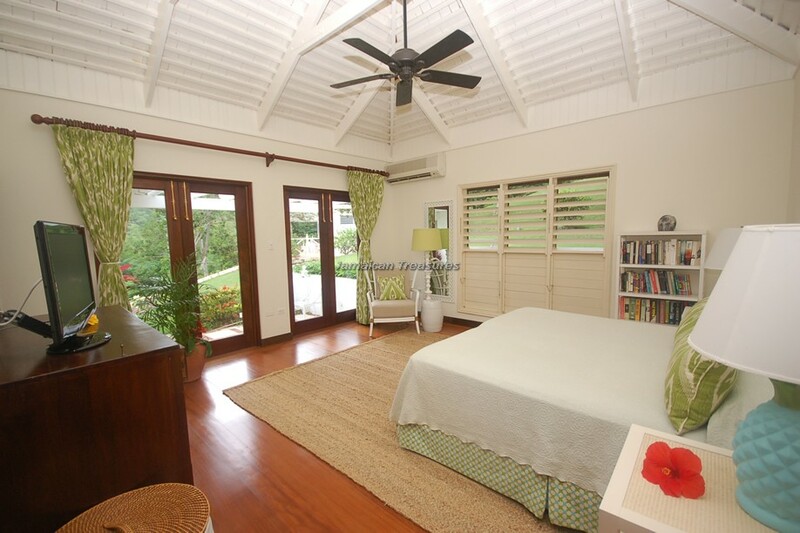 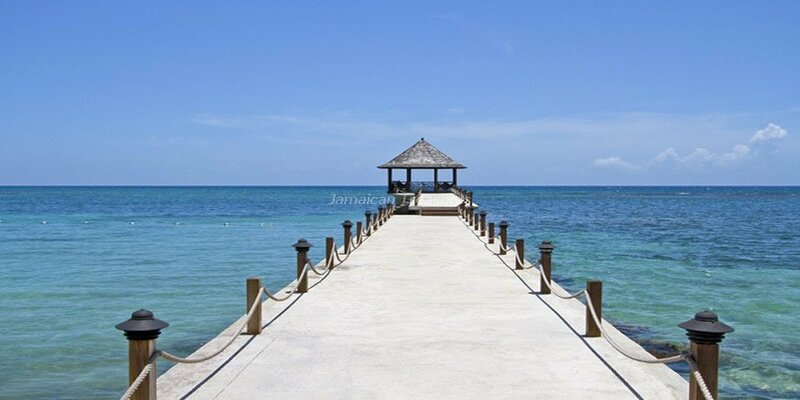 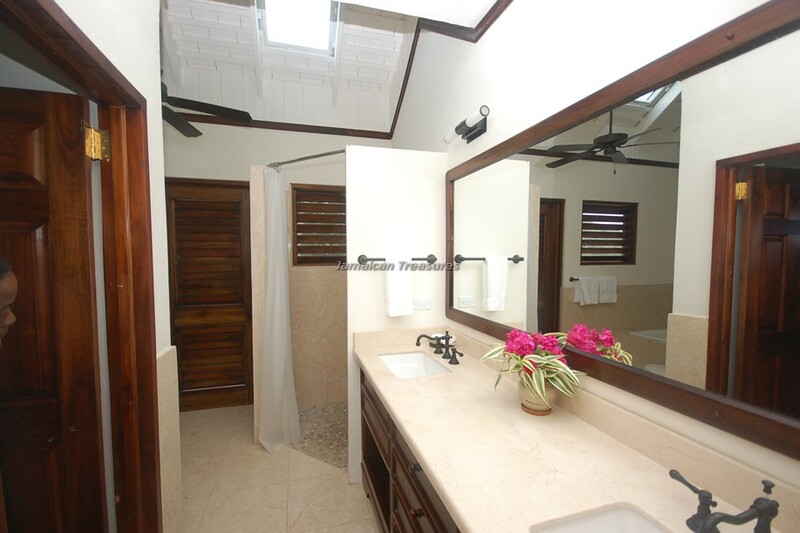 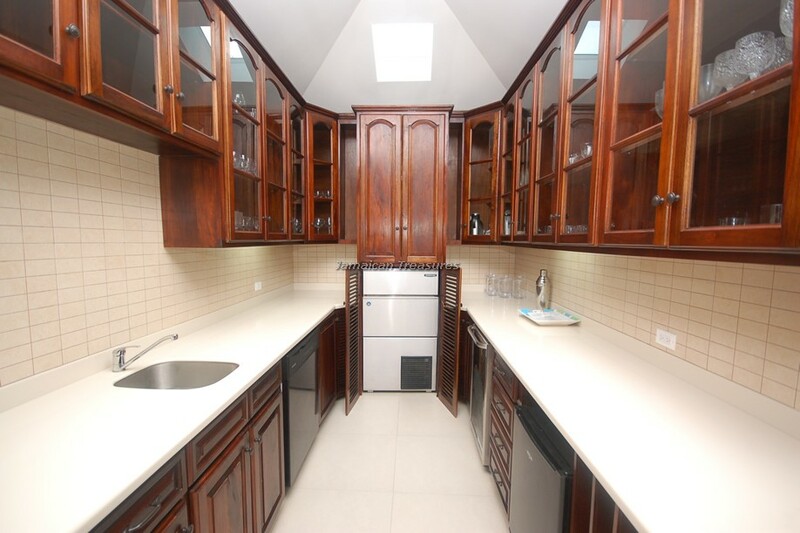 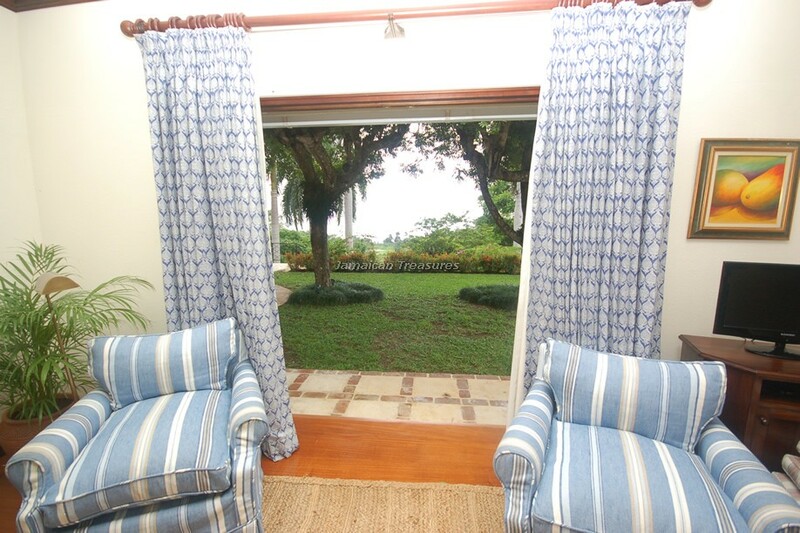 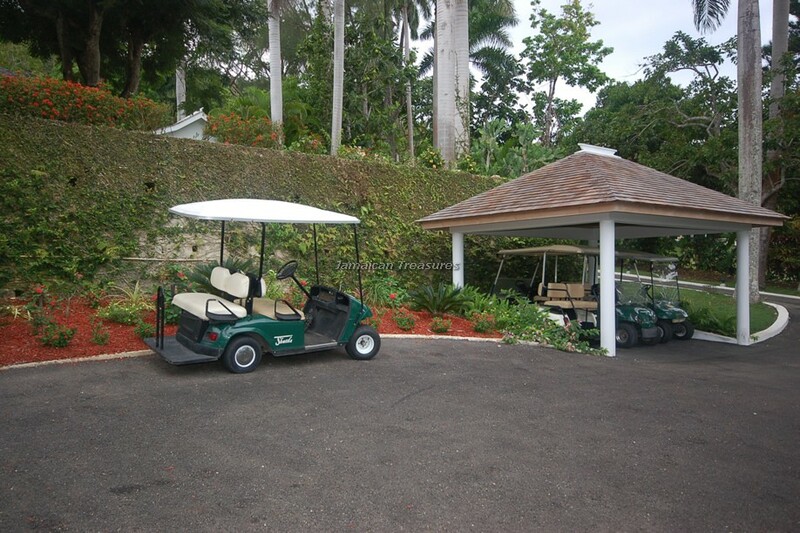 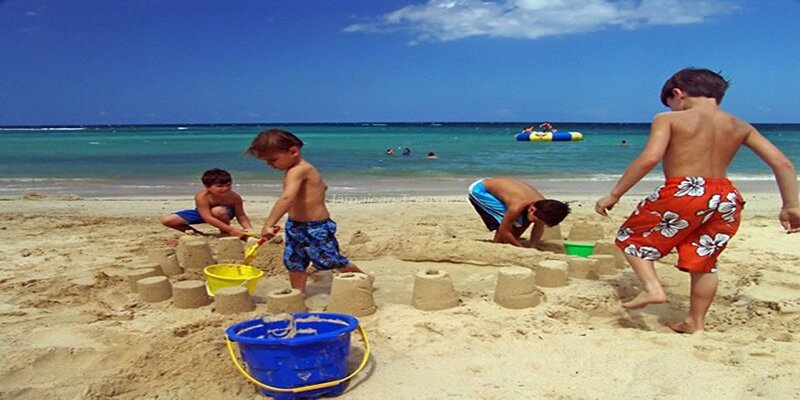 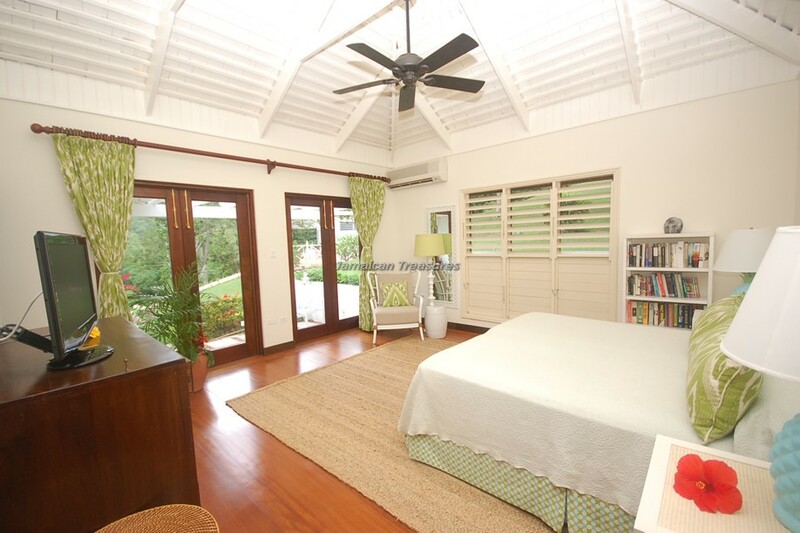 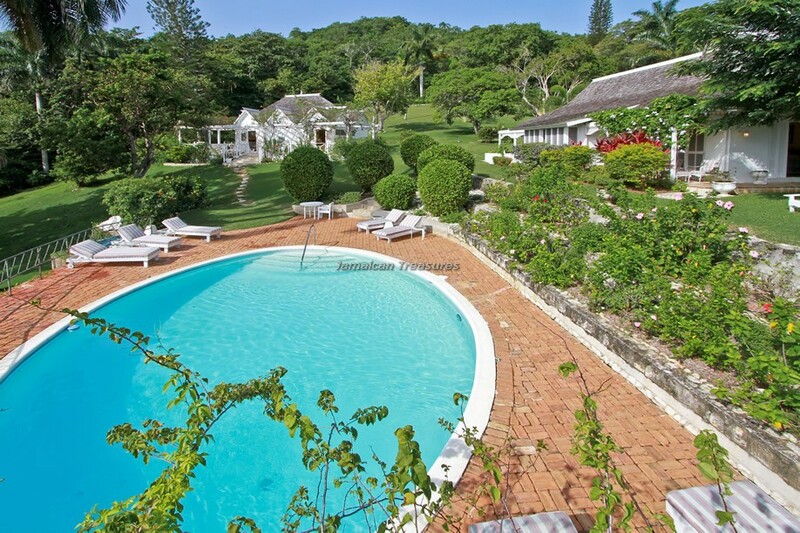 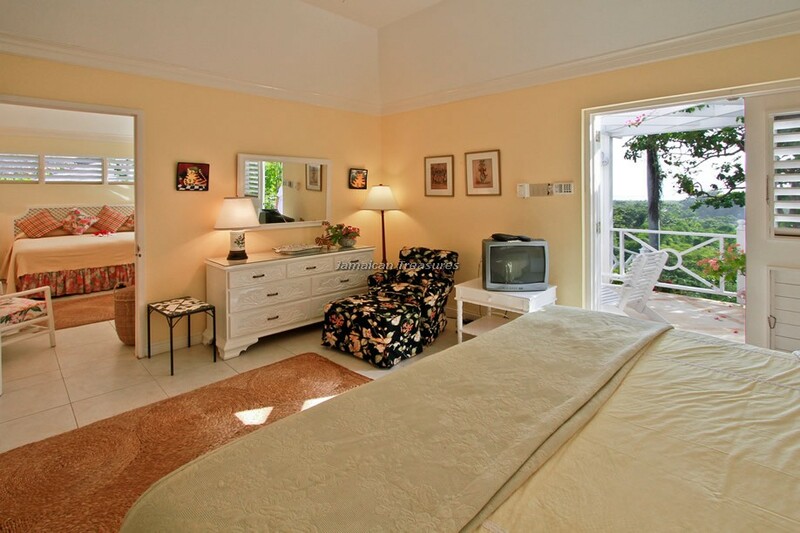 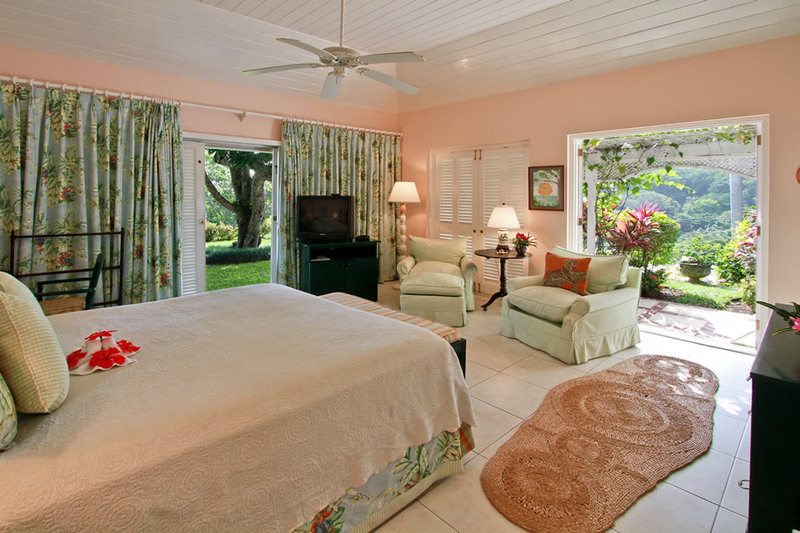 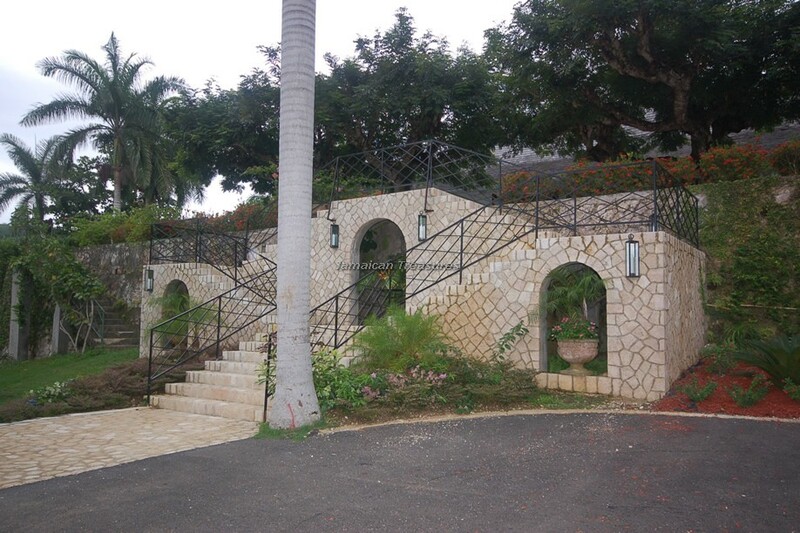 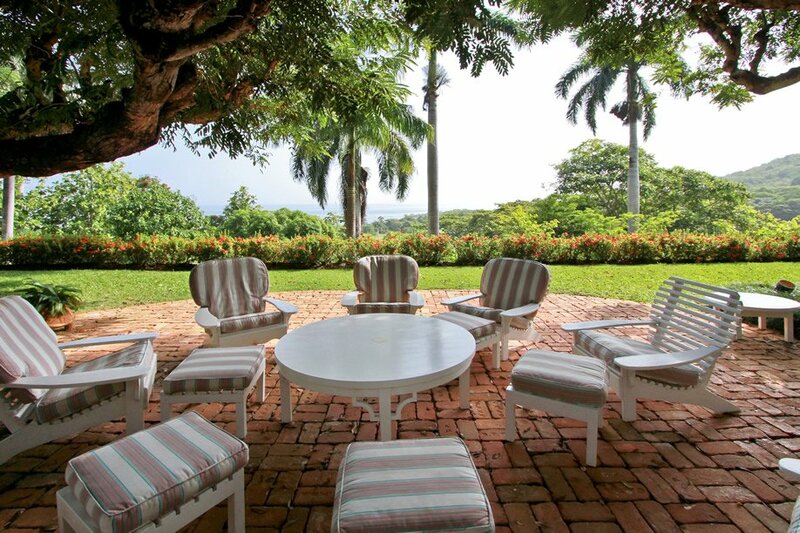 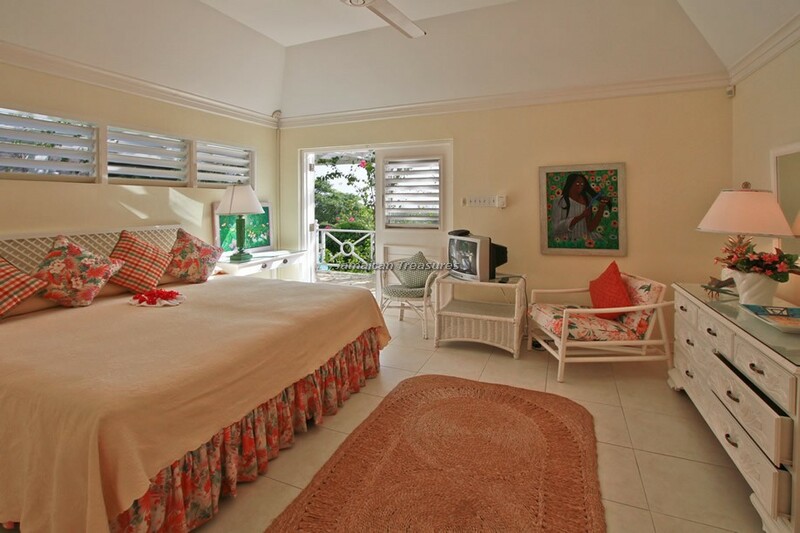 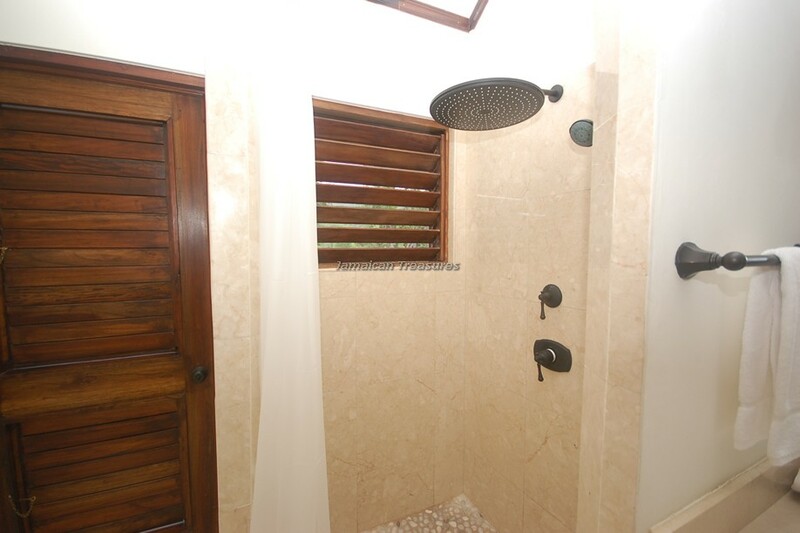 Avalon Villa, previously known as Riverlot Gardens, is a newly-renovated Jamaica villa in the Montego Bay area. 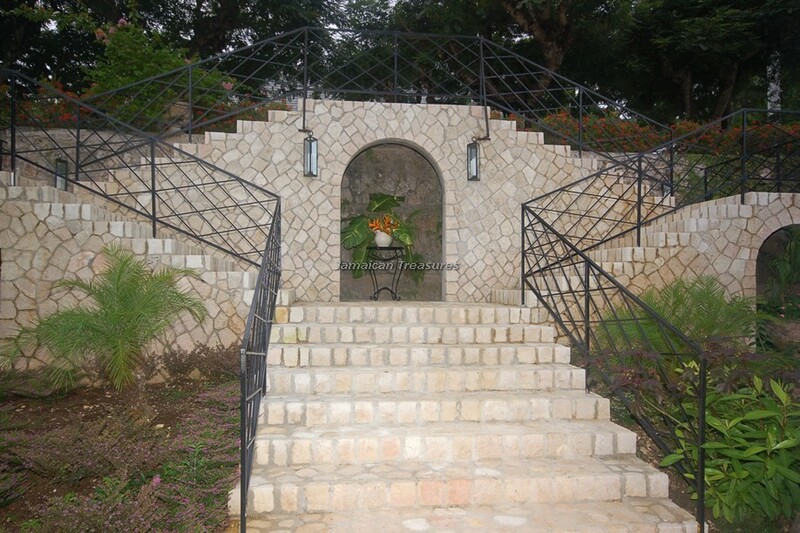 The villa now has a fabulous new look! 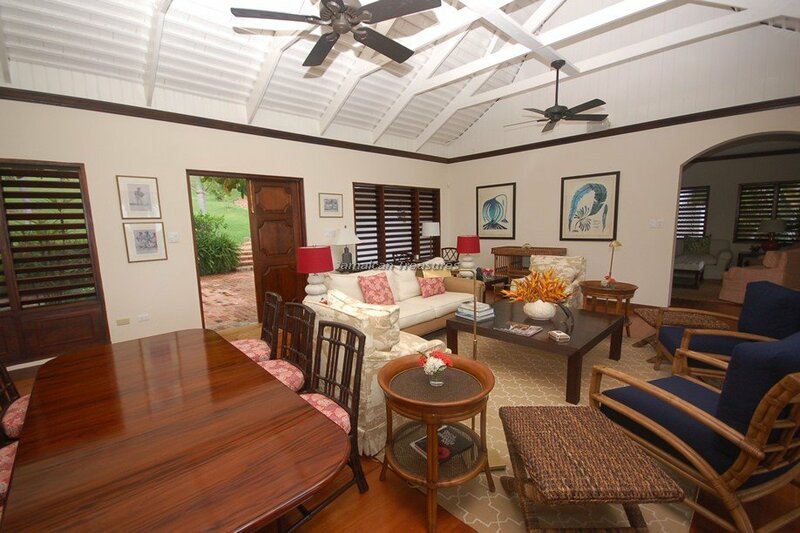 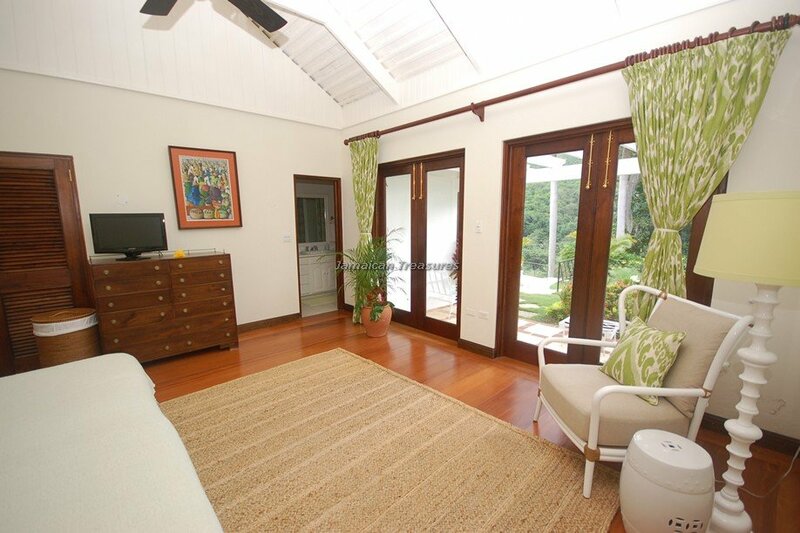 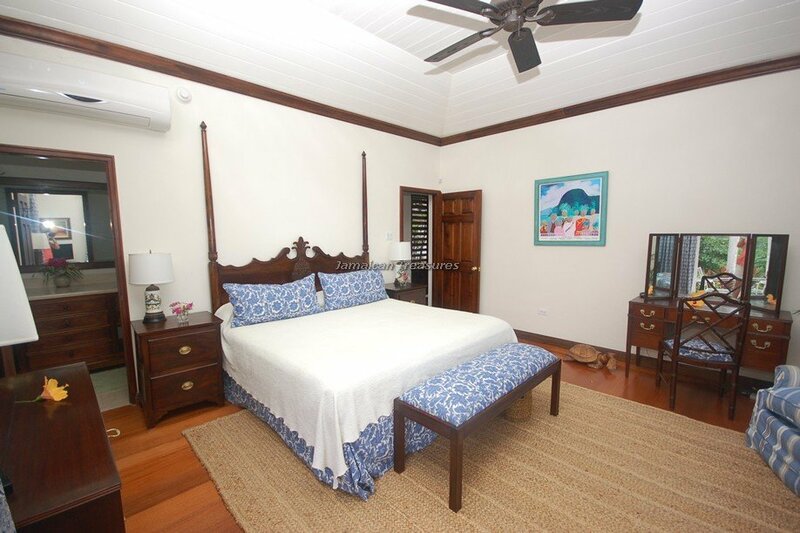 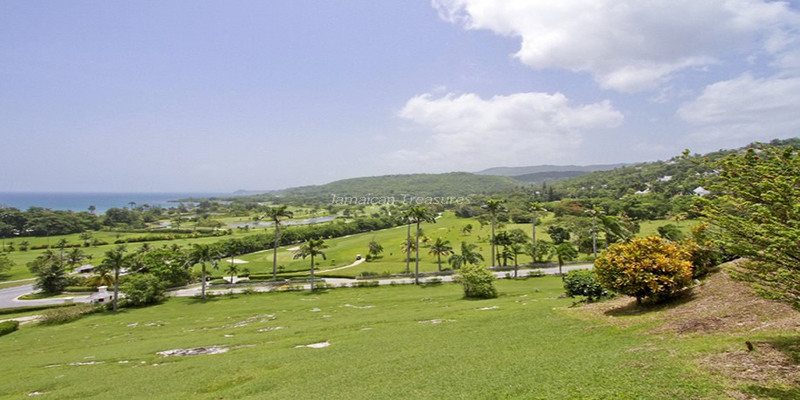 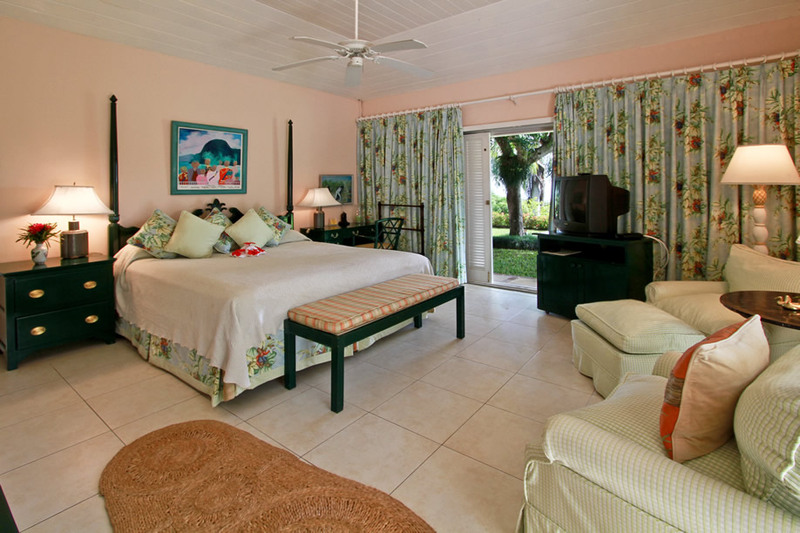 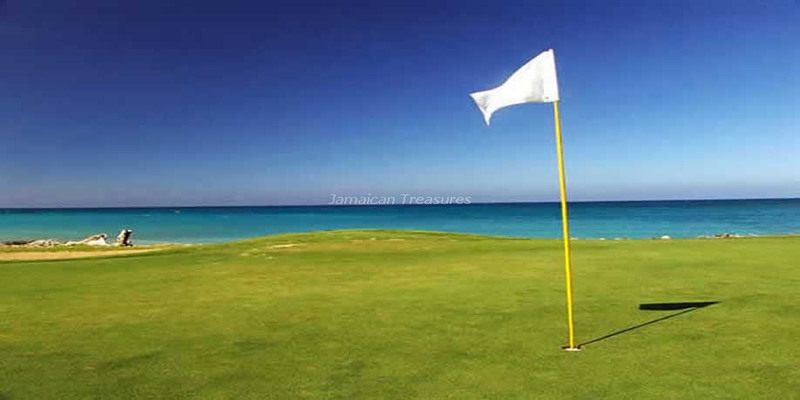 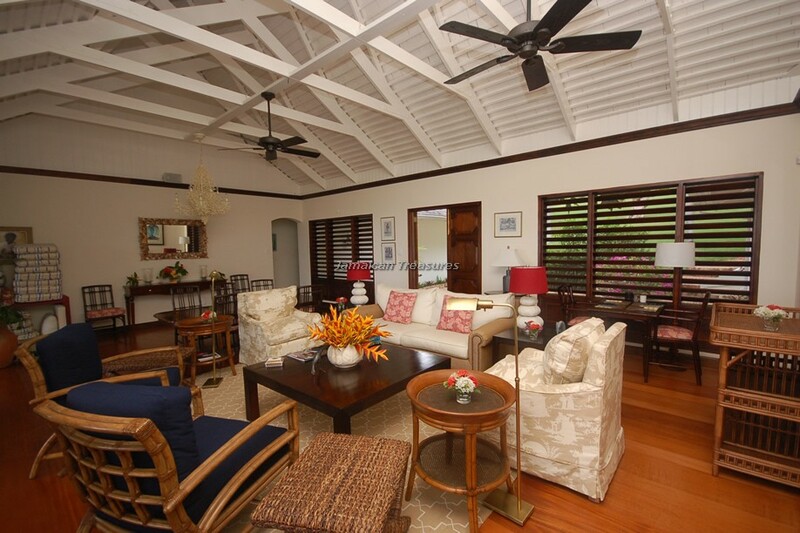 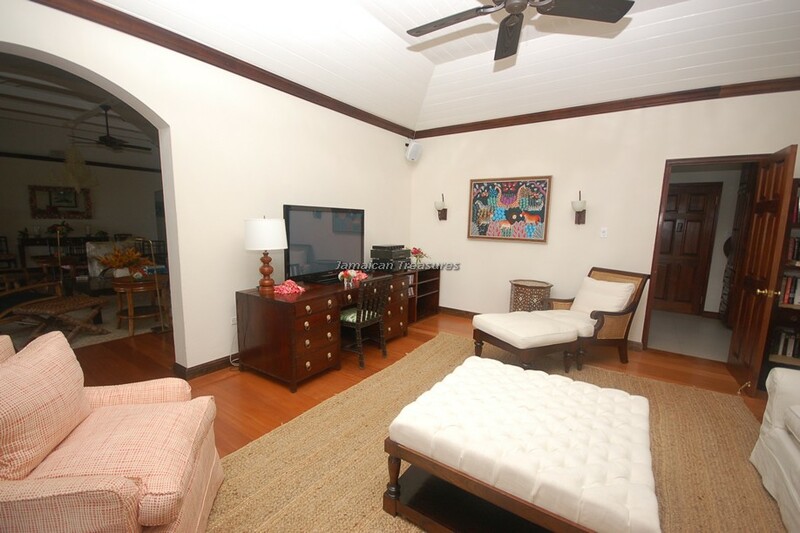 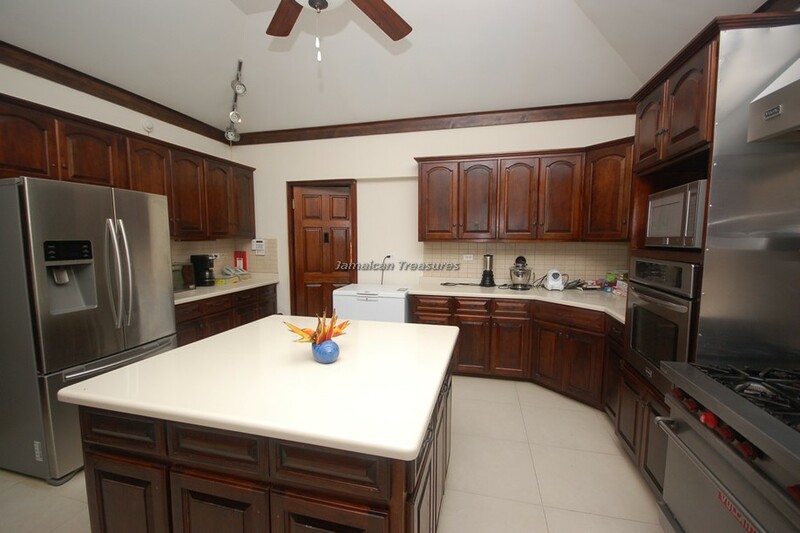 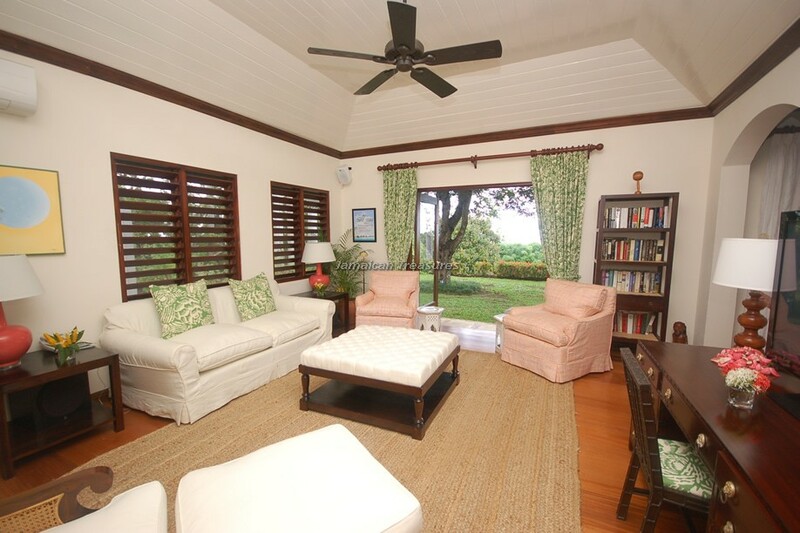 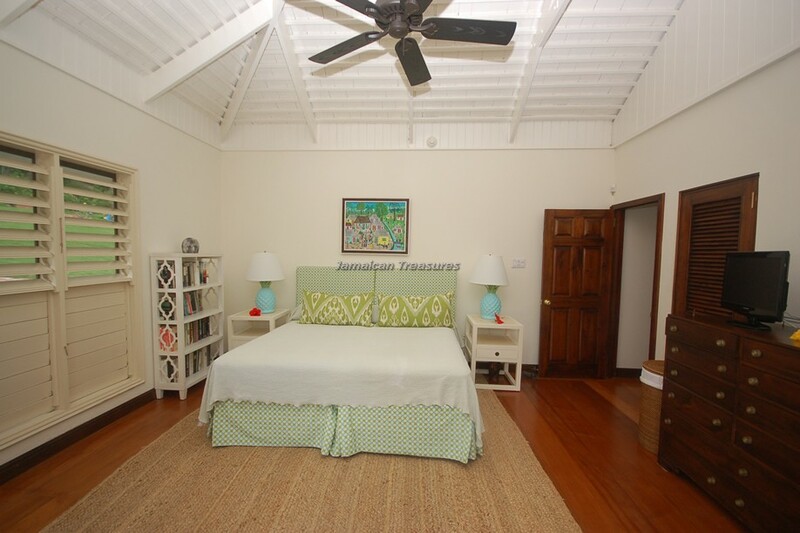 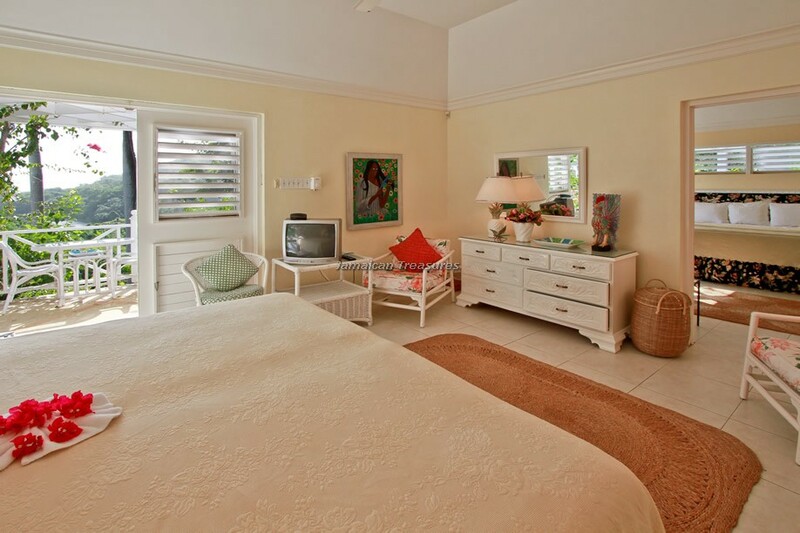 The four-bedroom villa is located within the Tryall Club Resort and provides captivating panoramic views of Tryall’s championship golf course and the magnificent Caribbean Sea. 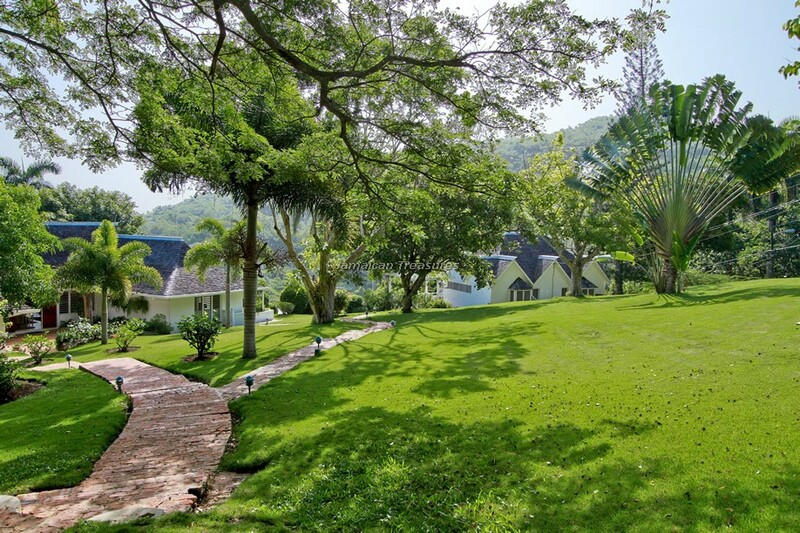 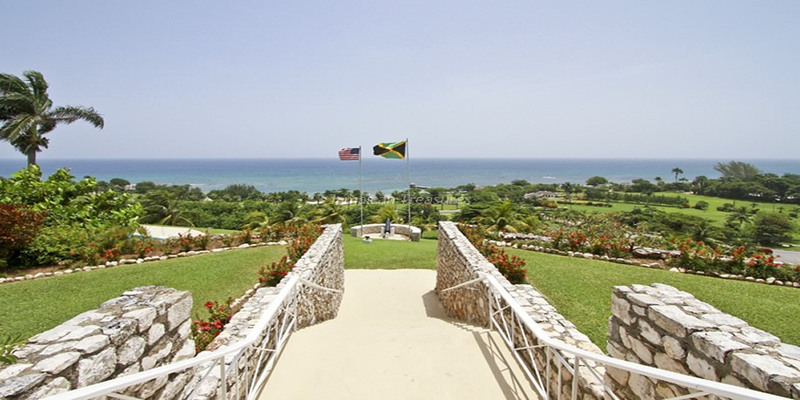 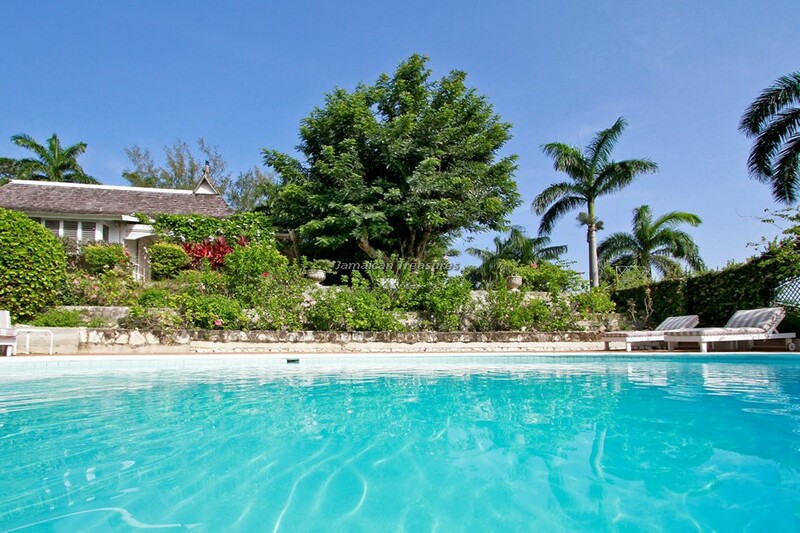 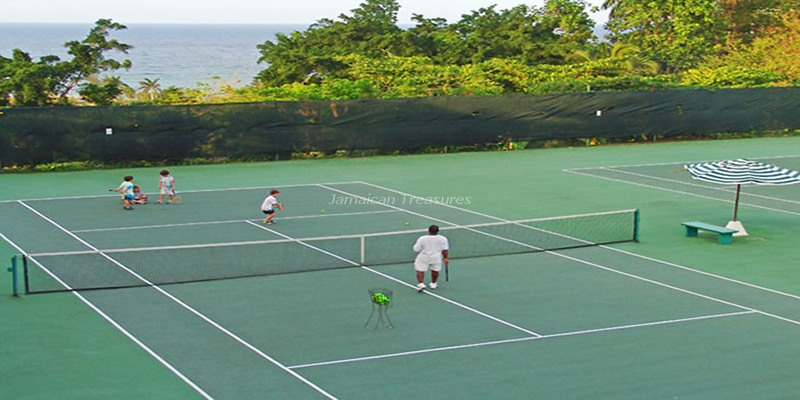 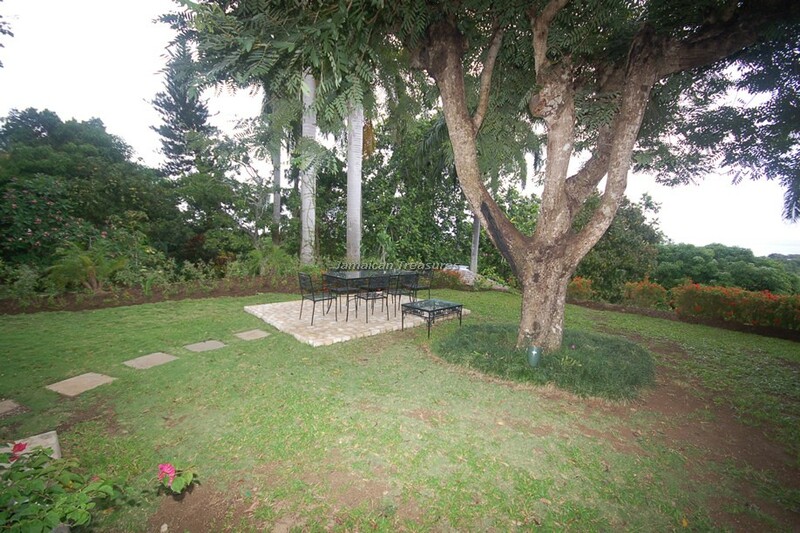 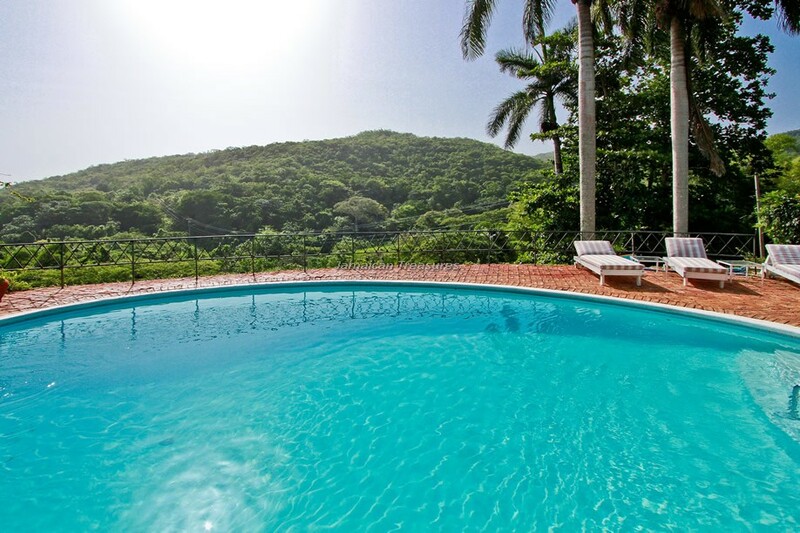 The Jamaica villa’s heavenly location is an expansive garden with lush tropical foliage, the perfect setting for the romantic at heart, or for groups of friends and families. 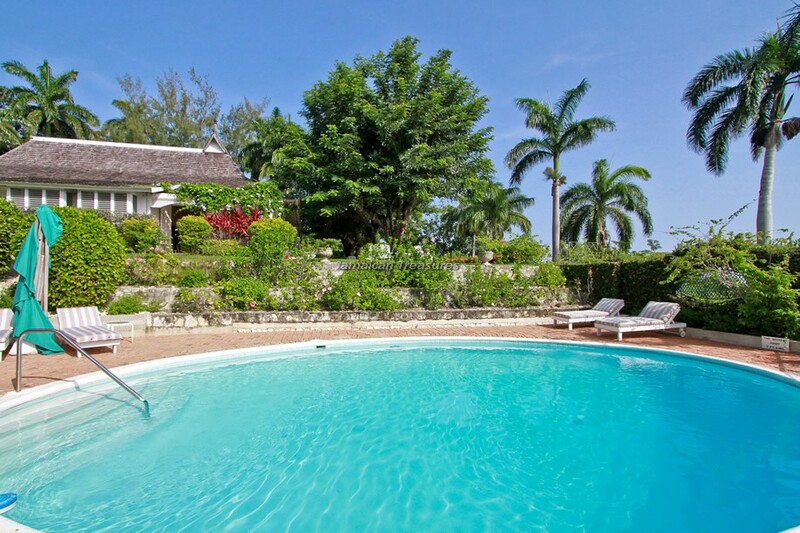 Avalon is definitely one of the loveliest hillside villas in Jamaica, with gradually sloping terracotta steps leading to the main villa and the private guest cottage. 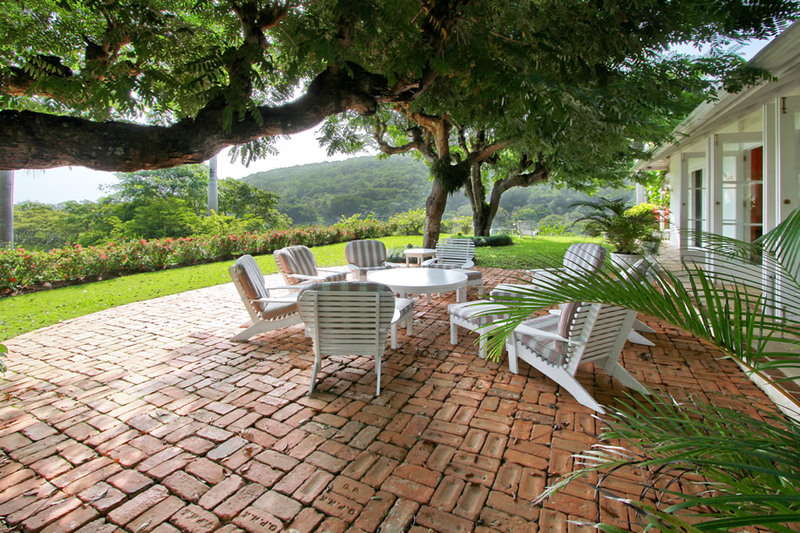 The villa’s private staff includes an excellent team of professionals including a housekeeper, cook, laundress and two gardeners. 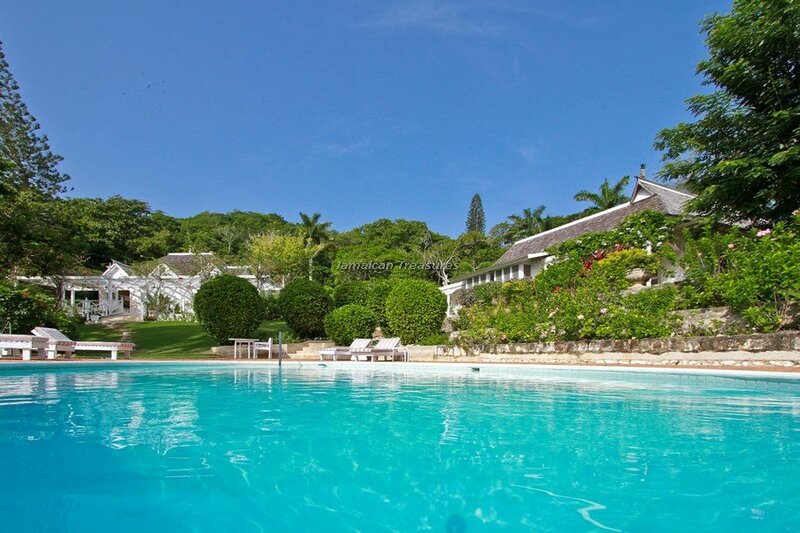 From the moment guests enter the villa’s premises, the staff takes over the task of fulfilling their every wish and desire.